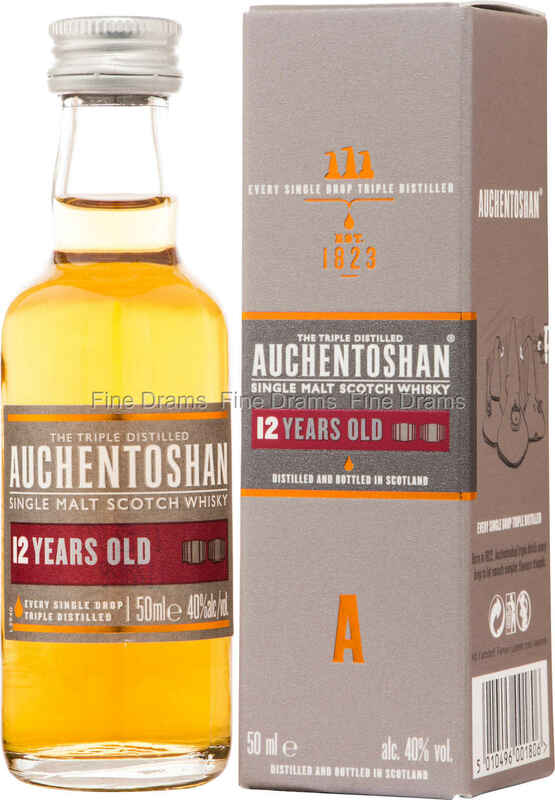 A miniature of this fine Lowland single malt from Auchentoshan. Triple distilled in the traditional Lowland style, this whisky has been aged for 12 years in a combination of Oloroso and former Bourbon casks. The result is a lovely, fruity and light dram, with lots of dried fruit and vanilla character. This miniature is a great chance to try this whisky without committing to a full bottle.